Just as Obamacare is more affordable, it just cost more money, so too, the leftist Democrats are more peace loving and tolerant, just in a more violent manner. I must be showing my age and my years. 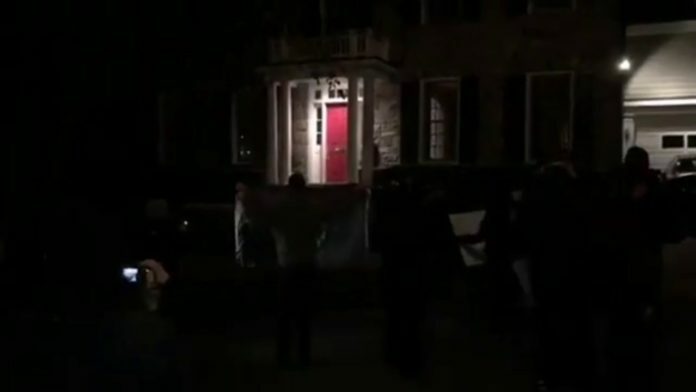 Because despite standing so far to the left I’m practically knee deep in Socialism and finding Tucker Carlson to be an utterly odious specimen of a human being it never occurs to me to even want to know where he lives never mind show up on his driveway in the dark, sing nasty songs, spray paint slogans on his personal property and terrify his wife and children. I just change the channel, turn the television off altogether and don’t venture into printed material where I’m likely to run into his opinions. It works wonders! !